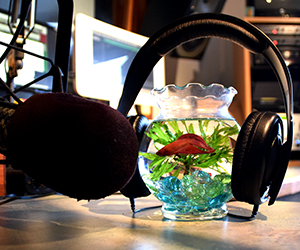 Join Israel and Danny (and Derek the Fish) weekday mornings from 5a-9a for the Big Island Big Morning Show. Born and raised in the Los Angeles area, Danny Jesser graduated with honors from California State University-Long Beach, with a degree in Political Science/International Relations. 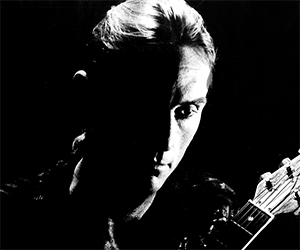 Throughout the late ’60s, ’70s and ’80s, he worked as a professional musician and songwriter, working across the United States and Europe, eventually relocating to Hawaii in 1987. An award winning songwriter, Danny has had songs recorded by pop, country and blues artists, including his 2003’s “A Little Sin”, which rose to #5 on the national blues charts. Danny has been on the Big Island Big Morning Show since it’s inception in 2008. His voice has been used on hundreds of radio ads and he regularly does remote broadcasts for both LAVA 105.3 and KOA COUNTRY radio. As part of his on­air duties, Danny has interviewed NBC’s Al Roker, members of the rock band War and international, professional wrestling star, Bret “Hitman” Hart. 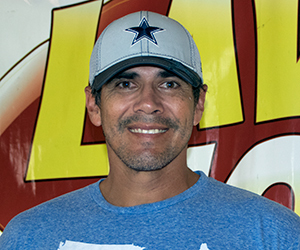 Israel Gonzales was born and raised in rural Menard, Texas. He moved to Hawaii in 1991, finally made his way to the Big Island in 1997. Since then, he worked for several radio stations covering all different dayparts on the Big Island before moving to LAVA 105.3’s Big Island Big Morning Show in 2007. When he isn’t on-air, Israel can be found babysitting his grandson, working out at the gym, paddling or just relaxing with his family at the beach. Derek The Fish was born in Myanmar, in Southeast Asia. His father was a Siamese Fighting fish of some repute, with a lightweight record of 36-2-0. Derek’s mother, a quiet lady, didn’t speak much but did run a successful egg business. After graduating from “school”, Derek threw himself, fin first, into the world of entertainment and communications. After working as a technical adviser to films like “Finding Nemo” and “Mermaid”, Derek decided that with a voice that can only be described as “a gift”, radio might be the perfect fit. For the last couple of years, Derek The Fish has been the third member of LAVA105.3’S Big Island Big Morning Show, participating in interviews, greeting guests with his bubbly personality, and doing voice work for local business advertisements. Derek looks forward to long career along with Israel Gonzales and Danny Jesser, whether alive, or stuffed. And as Derek always says, “you can count on me, beginning to fin-ish”.